According to some research we can all find out there on a Google search; there is about 10 million tons of salt that are sold into this region and its outskirts annually. There are about 4 main providers, one at about 1 million tons, one at about 3 million tons, and a couple others that make up another 6 or 7 million tons. There are a few other salt companies that don't own mines (at least in the US or Canada) and they import salt from other countries, such as Egypt, Chile, United Kingdom, Morocco and others. This combination of providers work to win bids and win relationships to sell salt into all of our cities, towns and local markets. 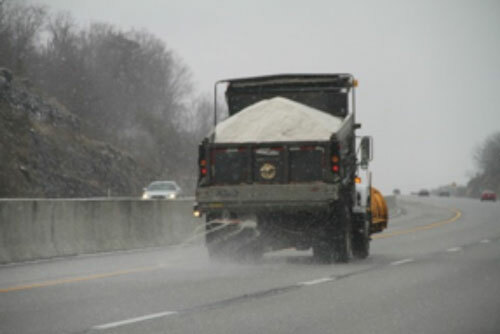 Once this round is achieved, the smaller contractor, one without a place to buy and store a season's worth of salt or at least a sizable portion or a seasons salt, well they must rely on the local supply yard to have salt for them a few tons at a time throughout each event, all season long. As you might imagine, each layer has a cost increase and a risk increase. The sooner we all find and secure a salt deal to meet our needs the better off we will be going into winter, negotiating contracts and sharing this process with the end users. . .our clients. I strongly urge you to "educate yourself and educate your clients" on the process of procuring salt. Knowledge is always powerful and helpful. 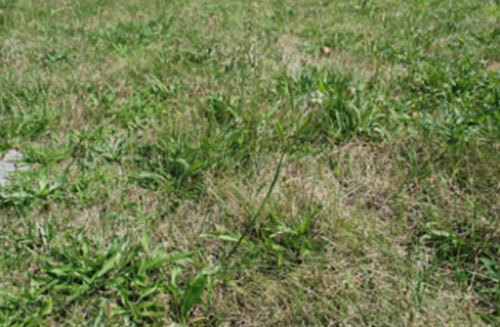 Resistant weeds will spread by mowing, aerification, pollination, etc. Resistant weeds are a problem now, but luckily we don't have too many in Midwest turf yet. Turf managers will need to increase their knowledge of herbicide mode of action and increase their rotation of these various herbicide modes of action in the future to prevent weed resistance from developing just as they currently rotate fungicide mode of action in order to reduce the likelihood of developing fungicide resistance. For more information on this topic, I suggest you read a helpful publication on preventing and managing herbicide resistant weeds by my colleague Dr. Jay McCurdy at Mississippi State University linked here. If you suspect you have an herbicide resistant weed, please contact me (ajpatton@purdue.edu). Sure Power™ is a new standard in herbicide power, providing swift early-season and late-season control to strike down challenging broadleaf weeds. In fact, broad-spectrum Sure Power is proven to produce excellent control of ground ivy and wild violet. Its four-way formulation manages more than 250 broadleaf weeds, making Sure Power a valued tool in the pursuit of clean cool-season turf. Here are eight stories you may not be familiar with, about companies you've most definitely heard of. The John Ferolito and Don Vultaggio way. When a couple of Chicago software developers working on lookup searches for Apartments.com got sick of calling restaurants in search of takeout food for dinner, the light bulb went off: Why isn't there a one-stop shop for food delivery? That's when the pair decided to start GrubHub, which went public last April and is now valued at more than $3 billion. After operating a small chain of convenience stores in southern California, Joe Coulombe had an idea: that upwardly mobile college grads might want something better than 7-11. So he opened a tropical-themed market in Pasadena, stocked it with good wine and booze, hired good people, and paid them well. He added more locations near universities, then healthy foods, and that's how Trader Joe's got started. A trip to Milan gave a young marketer working for a Seattle coffee bean roaster an idea for upscale espresso cafes like they have all over Italy. His employer had no interest in owning coffee shops but agreed to finance Schultz's endeavor. They even sold him their brand name, Starbucks. In Japan in 1917, a 23-year-old apprentice at the Osaka Electric Light Company with no formal education came up with an improved light socket. His boss wasn't interested so young Matsushita started making samples in his basement. He later expanded with battery-powered bicycle lamps and other electronic products. Matsushita Electric, as it was known until 2008 when the company officially changed its name to Panasonic, is now worth $66 billion. While they had been friends since high school, the two college dropouts gained considerable exposure to the computer world while working on game software together on the night shift at Atari. The third Apple founder, Ron Wayne, was also an Atari alumnus.